If the number of cloud storage services is making you go batty, my mention of Cloud is probably not going to help that. The recent explosion in cloud storage options has been nothing less than insane. Here on the blog we’ve discussed all sorts of tools like Mega, Dropbox, Cubby, Insync, and even Bitcasa. When I heard Barracuda Networks was getting into the cloud storage game, I was curious how this might look. 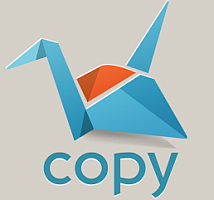 I’ll show you more about Copy, how it compares to Dropbox and what features make it unique. At the end of the article, I’ll show you how to double your initial storage space of 5 GB (for a limited time). Do you remember where you were when Megaupload was shut down? While the event wouldn’t really rival that of a Kennedy shooting – loosing the popular file sharing site on January 19, 2012 was a massive blow to Internet traffic at the time. After the site was brought down by authorities (working in multiple countries), Megaupload founder Kim Dotcom started working his next project, the appropriately named Mega. Today, on the anniversary of the shut down – Mega was launched and I was able to take a closer look at this new service. The pace of cloud file storage application releases have been fast and furious. 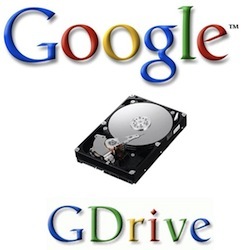 Now that Google’s Drive is here and some of the more popular services in this space are Dropbox (Sign up here and get 500mb free), SugarSync, Bitcasa, and Box.Net. Today, I was invited to check out a new file storage service from the creators of Logmein called Cubby and I wanted to take a look at how this works. You can imagine my delight, as I’m watching Techcrunch Disrupt, to get an invitation to join Google music. Indeed, I would love too. Google’s Music service (currently in beta) is billed as a cloud-based music storage location that also doubles as a player, music sharing service and playlist maker. The catch, however, was that Google Music is not currently available in Canada. That didn’t stop me. Let’s take a look at this new service.